When you’re looking to build credit but lack a credit score, it can be tough to find a decent card. However, there’s the Petal Visa® Credit Card that allows you to access and build credit without a credit history requirement or a security deposit — unlike typical secured cards or cards for bad and no credit. There is no credit score required to qualify due to Petal’s different application process. Instead of relying on an applicant’s credit history to determine creditworthiness, Petal has customers link their bank accounts during the application process. Then, Petal’s algorithm will analyze bank statements and other data, such as the money you earn and spend each month, and the bills you pay. This helps create an alternative picture of an applicant’s credit eligibility and is especially helpful for consumers who lack a credit history or have bad credit and have struggled to find a credit card with good terms. When we spoke with Petal’s CEO Jason Gross, he expressed the desire for the company to build a relationship with consumers and “help [cardholders] use their credit card responsibly.” Petal’s lack of a credit profile requirement, among other features like no fees whatsoever, are just some ways the company is trying to help credit-challenged consumers. In this review, we’ll discuss how the Petal Visa® Credit Card works, what the benefits and drawbacks are and how it stacks up against an alternative card. You can use the Petal Visa® Credit Card just like you’d use any other credit card, but the application process and fees differ from what’s typical. 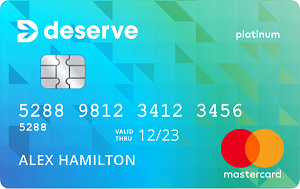 This card is designed for consumers with no credit history who are looking to begin their credit journey and establish a good credit score. When you fill out an application, Petal requires the typical personal and financial information, but it has an added step — requiring you to link active bank and credit card accounts. This is easily done by logging into your bank account via the application. Once linked, Petal analyzes your financial record to determine your eligibility. There are no fees associated with the Petal Visa® Credit Card. That means there is no annual fee, late payment fee, foreign transaction fee or any other type of fee. This is helpful to cardholders and can minimize the cost of using a Petal Visa® Credit Card. Charging no fees has clear benefits for cardholders, but you may wonder how Petal can make money without charging fees. The Petal Visa® Credit Card does have a 15.24% - 26.24% Variable Variable APR, so when cardholders carry a balance month to month, Petal makes money. Overall, the company realizes it won’t make as much money compared with competitors that charge numerous fees, but Petal’s goal isn’t to make a lot of money right now. Petal wants to establish a positive relationship with cardholders, see them succeed and hope to become long-term partners. Beyond no credit requirements and no fees, the Petal Visa® Credit Card offers a simulation-like feature that tells cardholders what may happen if they take certain actions with their card. For example, if you’re considering carrying a balance, Petal will show how much you’ll incur in interest charges so you’re aware of how much you’ll be paying in interest charges. This helps cardholders better understand how their card works and make educated financial decisions. No credit history required. Unlike most credit cards that require you to have some sort of credit history, the Petal Visa® Credit Card does not require applicants to have a credit history. This means if you lack credit history and have struggled with approval from other cards, you may have a better chance with the Petal Visa® Credit Card. Beware, you will still need to meet certain qualification requirements that include a source of income. No fees. 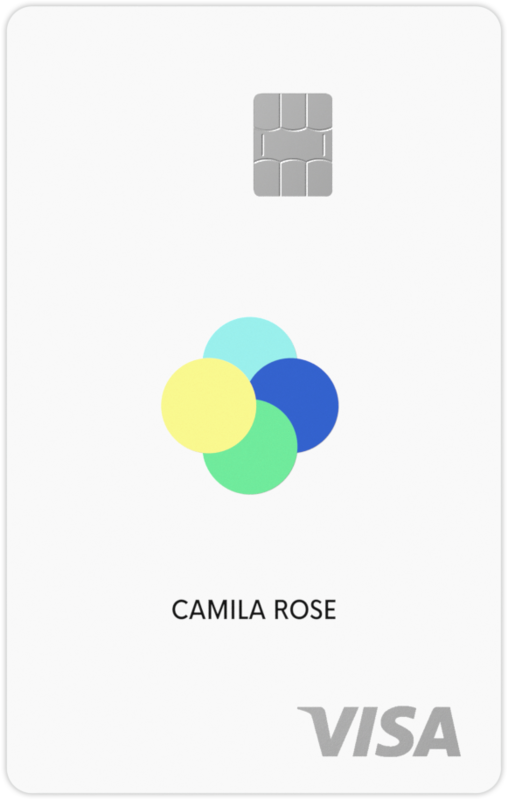 The Petal Visa® Credit Card is one of few completely fee-free credit cards on the market. The only other card we could find with no fees is the PenFed Promise Visa® Card. The lack of fees is especially helpful for people who are new to credit or have a history of paying late. A few situations where a fee-free card comes in handy include if you miss a payment, pay late, purchase outside the U.S., among others. The Petal Visa® Credit Card won’t charge a fee for these actions, compared with other cards that will. This card is very basic — there are no rewards or standout perks that you would see with other cards. So, if you’re looking for a robust card with rewards, travel credits, insurance and more, this isn’t the best option. However, the Petal Visa® Credit Card is designed for people who are looking to build or rebuild credit, so it can actually be a good thing that there is nothing to distract you from your primary goal of establishing a good credit score. Cardholders receive a minimum credit limit of $500 — and it can be as high as $10,000. These credit limits are often higher than what other credit cards are offering for people with less-than-perfect or nonexistent credit. Secured cards, for example, tend to have minimum credit limits of $200. Plus, you most likely will have to deposit $200 in order to receive your $200 credit limit. If approved, the Petal Visa® Credit Card gives you a minimum credit limit of $500 with no deposit needed. Auto rental collision damage waiver: When you pay for an eligible car rental with your card and decline the rental company’s insurance, you may be covered for collision or theft to the rental vehicle. Roadside dispatch®: If you get a flat tire, are locked out of your car, need a tow or experience another qualifying issue, you can call roadside dispatch. They’ll send a tow operator or locksmith to help you. Note: This is a pay-per-use roadside assistance program. The Deserve® Classic Mastercard is another credit card that does not require a credit history, similar to the Petal Visa® Credit Card. It also comes with a $0 annual fee, like the Petal Visa® Credit Card. However, it isn’t a completely no-fee card like the Petal Visa® Credit Card — Deserve® Classic Mastercard holders may incur penalty fees for late or returned payments. Looking at the APRs, the Deserve® Classic Mastercard has a 25.24% Variable APR — that’s in comparison with the range of 15.24% - 26.24% Variable Variable APR provided by the Petal Visa® Credit Card. So, if you want the chance to receive a lower APR, the Petal Visa® Credit Card is a better choice — just note that the APR you receive depends on your eligibility. Overall, if you’re looking to build credit and want to minimize fees, we recommend sticking to the Petal Visa® Credit Card. If you’ve struggled with being approved for credit in the past due to lack of credit history or are tired of dealing with the numerous fees that credit cards charge, the Petal Visa® Credit Card can be a great choice. You avoid fees such as foreign transaction, overlimit and late payment — since this card charges no fees at all. And, this card provides a way for people with lackluster credit to start building or rebuilding their credit history. If you already have an established credit history and are looking for a card that earns rewards, check out our roundup of the best credit card offers. 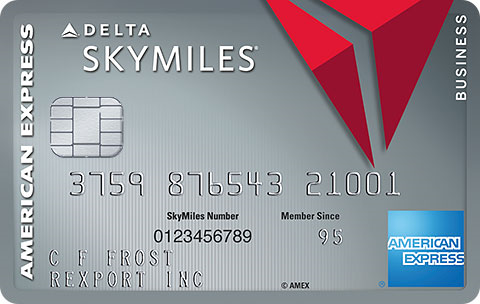 The Platinum Delta SkyMiles® Business Credit Card from American Express caters to those who are — or want to be — Medallion elite level flyers on Delta Air Lines. It comes with many of the perks and benefits that you’d expect from a platinum American Express card but at an annual fee of $195 — more than half the annual fee of The Platinum Card® from American Express.